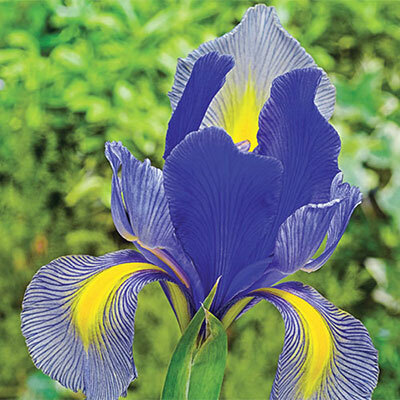 This unique variety's purple-blue standards and intricately veined bronze falls with a yellow blotch look right at home in many settings—from ultra modern to cottage gardens. Dutch Iris Gipsy Beauty's 4" beardless flowers are eye-catching when they bloom in late spring to early summer. They're excellent for cutting and using in bouquets and fresh floral arrangements too. A fully hardy perennial, this Dutch iris goes well with roses and other late-spring flowers, like alliums. Growing 20-24" tall, Gipsy Beauty performs best when planted in well-drained, humus-enriched soil in full sun to partial shade. It's a fast-growing, easy-care perennial. 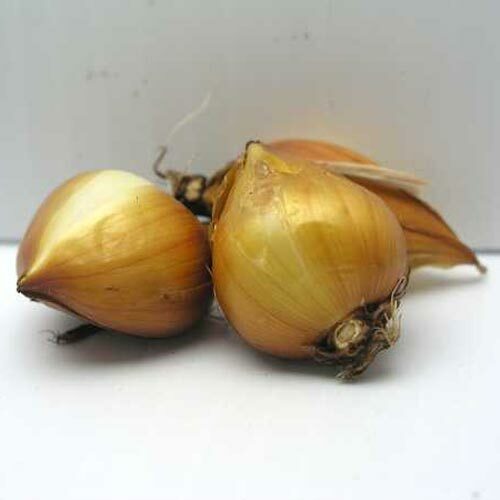 Bulb size: 8+ cm. Typical Iris-like, 4" flowers. Beardless.